There may be a huge Greek diaspora in Australia and a vast number of Kiwi immigrants, but will they turn out to watch their national soccer teams when they are taking on Australia next month in Melbourne? Crowds for many of the Socceroos’ matches in recent times – certainly in the big cities of Melbourne and Sydney – have not been as large as some expected, and Football Federation Australia (FFA) is taking no chances with the friendlies against Greece and the Matildas’ pre-Olympics send-off matches against New Zealand. The game’s governing body is offering members of the “Football Family” – essentially anyone who is registered to play the game or logs on and registers for free membership – massive discounts for the Etihad Stadium matches on June 7 involving the three countries. The Socceroos will face Greece that Tuesday night in a double-header, with the Matildas to play New Zealand beforehand. A flyer just released from Football Federation Victoria – a constituency of the FFA – announced swingeing price cuts for Victorian Football Family members for the Etihad games, with the prices of category B adult tickets cut from A$106.89 to A$55.91, a discount of almost 50 per cent. Category C tickets, which were originally sold for A$55.91, are now A$35.52, with junior, concession and family tickets also available as part of the cut-price deal for Football Family members. The move is likely to provoke criticism from any “non family” fans who have already shelled out for tickets at the higher prices. FFA says the initiative is not a panic move but a regular marketing ploy, rewarding those who have supported the game in the past. The organisation says it is expecting a crowd of around 50,000 for the Greece match in Melbourne. Australia are playing Greece in Sydney on June 4 in the first of the two-leg series of friendly fixtures, while the Matildas take on New Zealand in Ballarat the same afternoon. The teams then head to Melbourne for the Tuesday night matches. The last time Greece faced Australia in Melbourne, the match was a farewell game for Guus Hiddink’s Socceroos before they travelled to Germany for their first World Cup appearance in 32 years. That game – which Australia won thanks to a stunning Josip Skoko shot – attracted 95,103 fans to the MCG. At the time Greece were the reigning European champions, while Australia had enjoyed little exposure on the international scene. Now the Greeks are a much lesser side – they failed to qualify for the enlarged European Championships in which 24 nations are due to take part next month – and are in a rebuilding phase. As a result of their move to the Asian Confederation in 2006, Australia now plays more games at home than they used to – in the early 2000s there were years were they were hardly seen at all – and crowds for internationals are not always as great as FFA might like, certainly in Melbourne and Sydney. The last World Cup qualifier, a 5-1 defeat of Jordan, was played in Sydney and attracted just under 25,000 fans. The Socceroos are rarely seen in Melbourne. The state government and the major events company prefer to spend cash attracting big club sides to tournaments like the ICC – which will feature Juventus, Tottenham and Atletico Madrid in July at the MCG – rather than the national team. 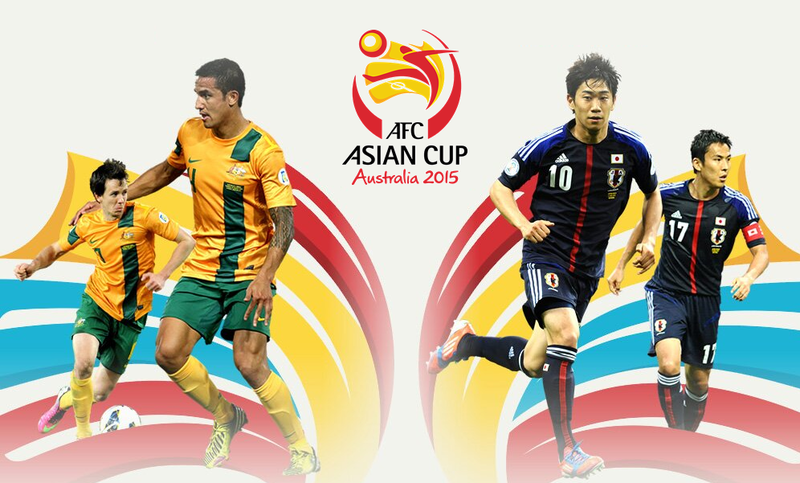 The opening game of the 2015 Asian Cup aside – a 4-1 win over Kuwait at AAMI Stadium – Australia have not played in Melbourne since June 2013 when they beat Jordan in a qualifier for the World Cup in Brazil. However, Australia is due to host Japan in a World Cup qualifier later this year on October 11, and there is plenty of speculation that the FFA will, if it can strike a deal with the MCG and the Victorian government, play that game at Melbourne’s biggest ground. FFA has sought to buttress its coffers and keep fans interested by increasingly playing World Cup qualifiers against nations who are not much of a drawcard – Tajikistan, Kyrgyzstan and Bangladesh – in Adelaide, Canberra and Perth, where the crowds have been enthusiastic. © 2016 Stuff | This article first appeared in Stuff on May 26 2016.